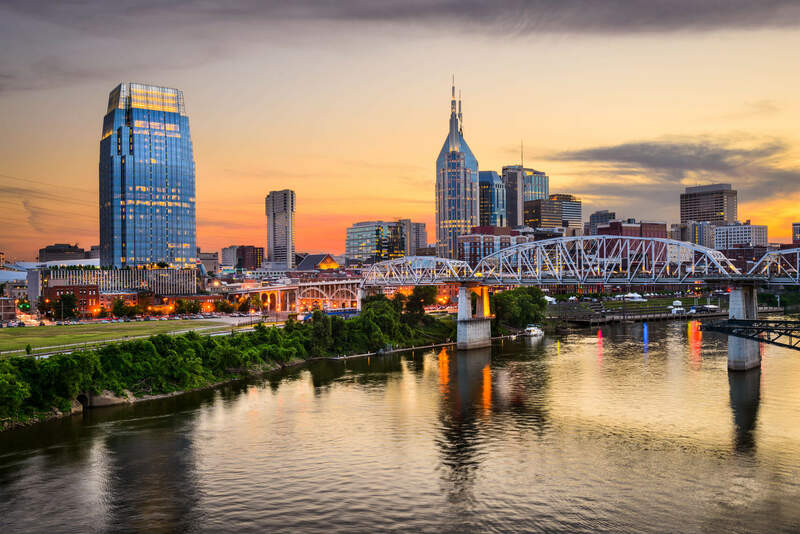 From the neon lights of Lower Broadway to the storied halls of Vanderbilt University, Nashville is a vibrant city filled with electric – and eclectic – energy. Make sure our local charm and character reflects in your Nashville advertising! As one of the nation’s fastest growing cities, Nashville provides a plethora of growth opportunities for small business owners. You’ve likely thought long and hard about your advertising plan and the marketing services you need. You realize the benefits of combining digital advertising with traditional methods. 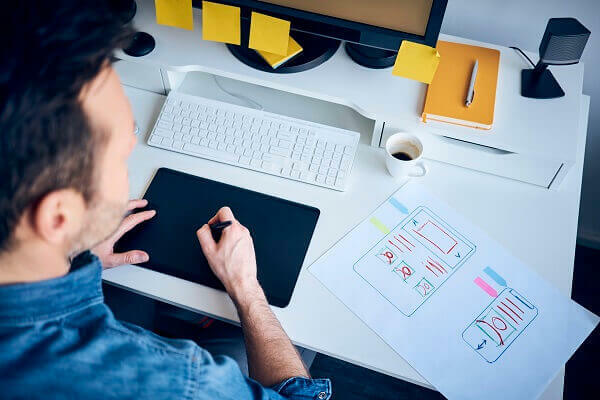 The importance of optimized web design, a solid social media presence and hiring a full-service advertising agency to help you navigate the fiercely competitive landscape. But how do you choose the best Nashville agency for your marketing goals and budget? We know – there are a lot of advertising and marketing agencies in Nashville, TN. Sifting through online lists of the “10 best Nashville advertising agencies” or “top Nashville advertising agencies” is time-consuming, downright tedious and often fruitless. As you can imagine, Nashville advertising agencies offer different products for varying marketing budgets. Some claim they “do it all,” but you’ll find this is rarely the case… at least at a price a small business can afford. Of the well-respected agencies in Nashville, Bohan and GS & F focus on branding and digital media, working with national clients with large advertising budgets (think Stein Mart and Amazon Prime). Parachute Media specializes in social media marketing and Graffiti indoor advertising shares your message of value on everything from bathroom stalls to health club menus. When selecting your advertising partner, it’s important to ask the right questions to determine whether they provide exactly what your business needs. How can you target my audience? What are your core values/culture? How often do you communicate results? Who are some of your local clients? Why are you better than XYZ ad agency? What are your most successful and unsuccessful campaigns? What will it cost to retain your services? Do you really want my business? No. 13 may be the most important question of all. Believe it or not, not all marketing and advertising companies want your business. Either they feel you’ll ask too much of them or they’re afraid they can’t meet your expectations. You’ll know the answer quickly. They won’t sound enthusiastic when they’re answering. They may even hesitate before giving an adequate response. In other words, they’re much more interested in selling you on a dream. But whose dream is it? One of the most popular advertising philosophies is that your product is so great that people will flock to your business. It doesn’t matter where you’re located or who your audience is. 1. Compared to the average Nashville consumer. Claritas data with current year projections, January 2019. You know Valpak as the nationally recognized leader in direct mail advertising. But, our grasp of digital advertising is just as masterful. Your Valpak Nashville advertising team is Google Ads certified. This means we’ve met rigorous requirements and are recognized by Google for our ability to help customers get noticed and grow their businesses through online advertising campaigns. There are many benefits to working with a Google Premier Partner, but one of the biggest is having direct contact with Google representatives. You can rest assured your internet marketing is in good hands. You can always expect the highest-quality customer service – and results. Web design: If you need a website, Valpak can create a beautiful, mobile-responsive one for you! If you already have a website, but it needs some updating, Valpak’s web development team will optimize your content and design. We’ll work with you to make changes as needed. Business listing: An online profile on valpak.com and the Valpak mobile app will get you in front of more consumers, which will bring in more calls and sales. Your business will also be listed on our network of partner websites, search engines, directories and mobile apps. Search engine optimization: If you want better rankings on Google and other search engines, you must increase unique visitors to your website. Valpak’s SEO services include technical SEO analysis, keyword research and content optimization. 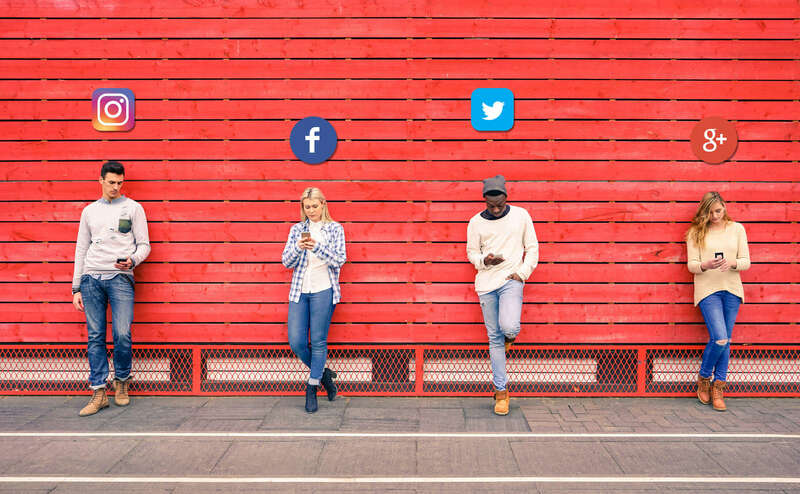 Social media advertising: Valpak can help you create a company profile, post engaging content and build your fan base on Facebook and Twitter. You can then use the consumer insights from your social channels to understand your customers’ needs and cater to them. Search engine marketing: Incorporating an SEM campaign into your digital marketing strategy will help move your business to the top of search engine results. Valpak ensures each campaign includes setup, keyword bidding, optimization and ongoing management. Display advertising: You want to stay on consumers’ minds. When you hyper-target your digital advertising in Nashville using display ads, you do just that. These ads will increase brand awareness on popular websites and mobile apps and they’re available in both static and dynamic formats in multiple sizes. 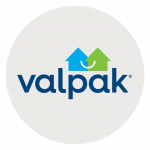 With Valpak, for 2-3 cents per household, you can target your ad to reach the consumers who are already spending more money on what you sell than the local average. Can any other direct mail agency in Nashville say the same? You can easily track your ad’s performance too. Direct mail coupons: Our most popular and most affordable solution. Valpak direct mail coupons are mini-billboards that give consumers the incentive to give your business a try. Each ad uses lean design with one offer, one image and one headline, which makes them easy for consumers to scan. 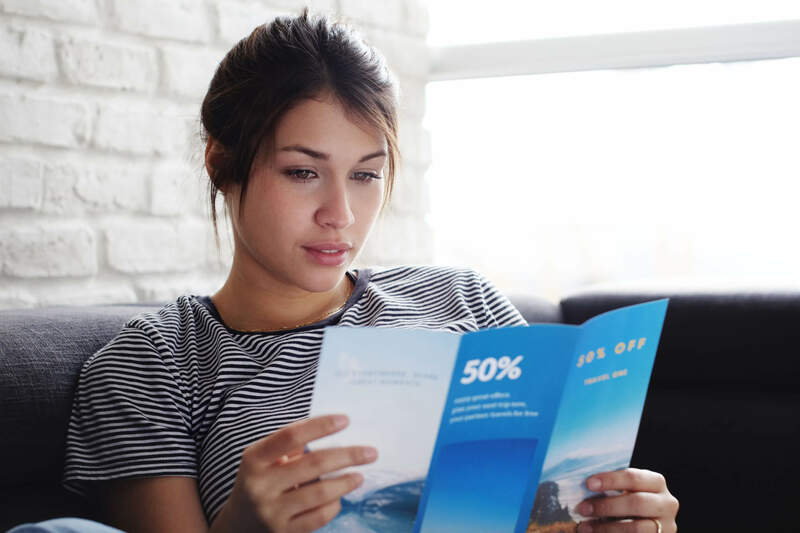 Direct mail flyers: A larger-print format with 2, 3 or 6 panels or 8, 12 or 16 pages for businesses that need more space for their ads. These are ideal for promoting multiple locations, a menu, product line, seasonal event or even a holiday sale. You can order extras to hand out to customers in your store. Direct mail cardstock: Advertising with cardstock is the cost-effective way to reward loyalty and encourage repeat visits. Using your choice of finish and format, loyalty cards can be created with redemption tracking to ensure one-time use (when necessary). Solo direct mail: From the mailing list to the direct mail format to the mail date, everything is customizable when you choose solo mail. Dial up your 1-to-1 marketing easily and benefit from volume-pricing savings due to Valpak’s size and scale. When it comes to direct marketing in Nashville, there are a lot of options, but only one clear-cut choice. Whether you’re looking for direct mail, digital advertising, social media marketing or web design in Nashville, TN – choose a full-service advertising agency that’s focused on helping you grow your business: Valpak of Nashville. Tim LaGanke Jr., the president of Quick Change Oil, has advertised with Valpak for more than 20 years. Currently, he has 10 locations – and has used Valpak to advertise all of them. LaGanke has found Valpak’s knowledge of best-practice offers has led to increased customer retention. Quick Change Oil sends its coupons out every month in Valpak’s Blue Envelope, knowing a portion of the targeted audience will be due for an oil change. The consumers receive the $10 off or $5 off coupon and act on the offer. Your Nashville advertising campaign can have similar results, regardless of your industry, increasing your sales and retaining more customers.